Hello everyone!!! Can you believe it?? SIXTH SECRET SANTA. We've had such a great time hosting this over the past 5 years and are SO ready for year 6 after last year which was a record year with 300+ participants. Please only sign up if you are truly interested and are committed to sending off a package (on time). No seriously, stop and think before you sign up. Can you commit to this? We have only had a few problems in the past 5 years but I'd like to not have to spend my time chasing people down -- seriously. It's a bummer for the person who doesn't get a package and a bummer for me to have to hunt you down for months after. *Non-US/Can people who are wondering where they would have to ship to if nobody from their country signed up: so far we have people signed up from Singapore, Japan, Puerto Rico, the Netherlands, France, UK, New Zealand, Sri Lanka and Australia. We have interest from the Phillipines. List 10-15 books you'd like to read or a link to a wishlist (please mix it up with older and new releases -- aka maybe things that aren't just available in hardcover right now). DO NOT ASK FOR ARCS please. If your SS wants to throw some in there because they saw it on your Goodreads or something that's fine but once we had someone ask for mostly ARCs. (if you are outside of US and Canada just know I can't guarantee that you will get somewhere even remotely close to you. I try to work it geographically for you but it all depends on who signs up and where they are from. That said we typically have a decent number of signups from England and Australia). * Books can be new or used. Use your discretion as far as used books go but please be kind and don't send something you wouldn't want to receive. They should be in VERY good condition -- like you can't even tell if it was read. * If you aren't sure what kinds of things to add for goodies peruse the #TBTBsanta thread to see pictures of packages from last year. Lots of good ideas that will probably help you! * Suggestions for things to add that could be helpful to tell your Secret Santa for the little gift: music you love, if you celebrate Christmas, hobbies you have, things you will not eat/are allergic to, smells or flavors you do not like, shows you watch/favorite movies, things you collect, any fandoms you are part of, would love something native to where your Secret Santa lives, coffee/tea you like, favorite colors, foods you love, favorite animals, things you are obsessed with, etc. etc. 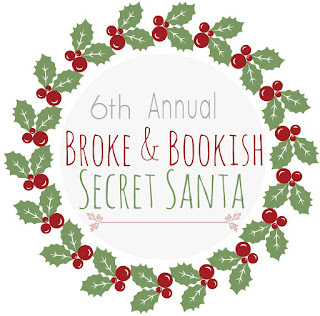 Also maybe if you have an e-reader and would be willing to get ebooks or a gift card. Just really anything relevant to your interests that could help them. * If you are from outside the US or Canada, be aware that you might have to send internationally due to the fact that there are significantly more US participants and we may not be able to pair you up with someone closer. We have teenagers signup! If you would prefer to be matched with another teen just let me know on the form. The person I gave to last year was 16! It was so much fun giving to a teen!! I personally of course would have no objection to being matched to a teen... Especially since I have TONS of YA books on my bookshelf that are brand new and not ever read that I had ended up replacing as ebooks. Last year we had quite a few people from Europe esp UK sign up! I try to make the best possible geographic match when possible to have lower shipping! This seems like so much fun! I might sign up. I'd definitely add some good Norwegian candy in there, hahaha. We have had a couple people from the Phillipines join in the past! Right now we have non-US/can signups from Australia, Singapore and UK. But obviously signups haven't even been open 24 hours so I know we will get more. If you want to tweet something about wanting other people from Philippines joining I can RT it. Or maybe I can edit my post and include signups we have from different countries or interest we have so people who are considering can see? It's up to you know you want to do it! If you know them you can use clues or something creative to tell them or if you want to just want to reveal in the card...up to you! I've seen it done all sorts of ways! Signed up! :) Can't wait! I'm really considering to join *writes ultimate date on calendar* I'm going to think about it! Can you send books via amazon, the book depository etc.... or must they be sent as part of the parcel? This looks like so much fun. I signed up! Wasn't sure whether to sign up (money-wise) but caved. This is just TOO much fun to pass up on! :D Thank you for hosting again! I read this and instantly got too excited! - is having a blog a requirement to participate? 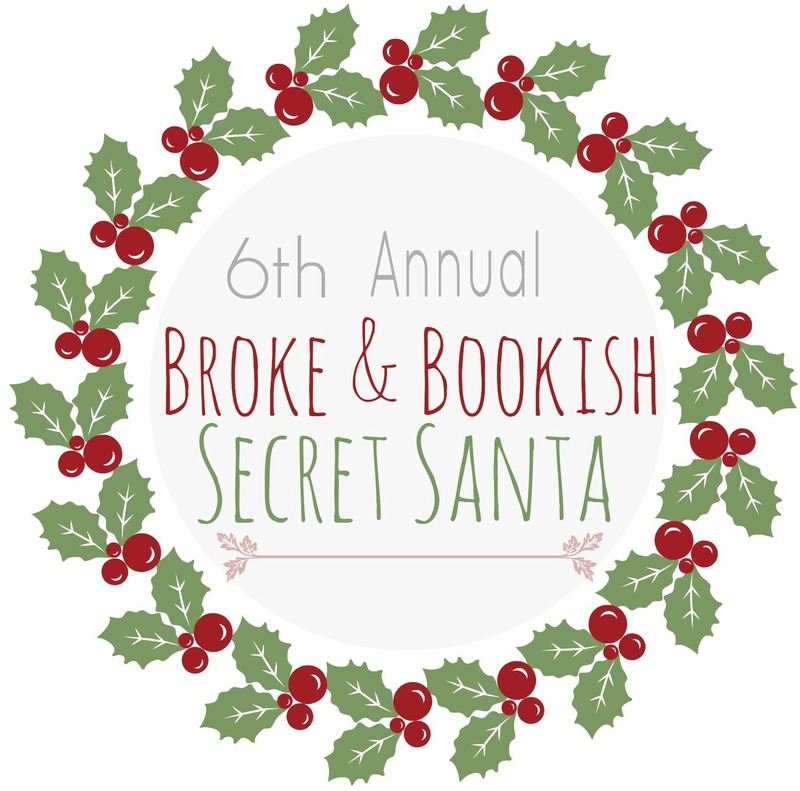 So happy you're hosting this again, as it's my favorite Secret Santa exchange! Did this for the first time last year was waiting for sign ups this year - sent my email this morning - loved the Instagram sharing through the process so much fun so excited for this year. YAY! I am so happy this is happening again, and I will actually get to sign up this year for the first time. Looking forward to spreading the bookish joy. This sounds like so much fun! But I do not have a book blog. Can I still join if I am not a blogger? Yes we have quite a few people without blogs joining. Filling out everything right now, and making sure my wish list is updated! I'm so excited! Do we need delivery confirmation OR tracking- Or do we have to have both? I just saw this. Is it too late to sign up? So sad! I just saw this and would have loved to sign up! Next year I guess! I'm so gutted, I definitely want to be more organised. Hope everyone gets what they want! Can anyone sign up or do you have to be a blogger/booktuber? I'm a big reader and would love to participate in this next year if its open to all. This sounds soo interesting. No entries from India?